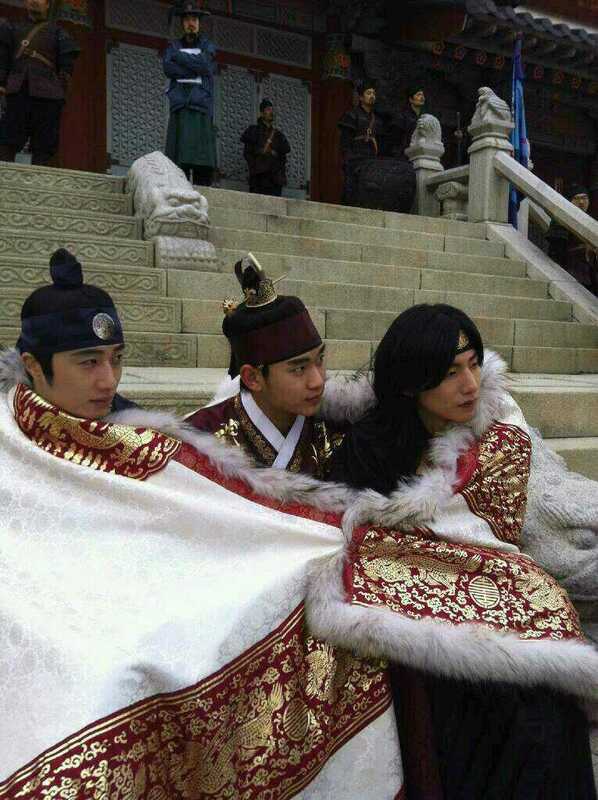 In the photos, instead of wearing thick jacket, the whole body of Jung Il Woo, Kim Soo Hyun and Song Jae Rim was covered by blanket in order to take refuge from the cold weather with a unique method. The gorgeous quilt that they were using is the one used by the royal family in the drama, which embroidered with golden patterns, the four sides also trimmed with fluffy white hair, looks very expensive. 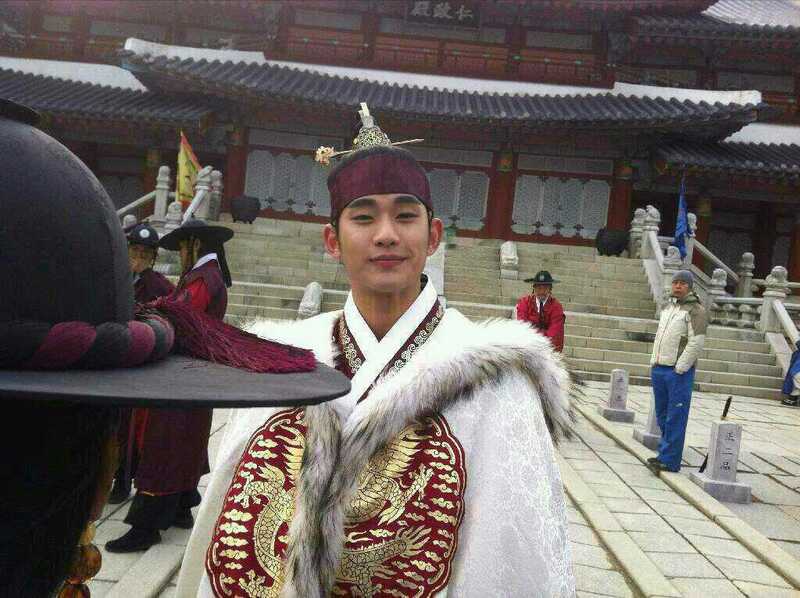 Netizens commented on the photos of the trio, “Three handsome men covered with quilt, it looks more luxurious,” “ordinary quilt is not suitable for the three flower men in The Moon that Embraces the Sun,” “The way for the king to resist the cold is extraordinary indeed,” “I want to squeeze into them,” and so on. 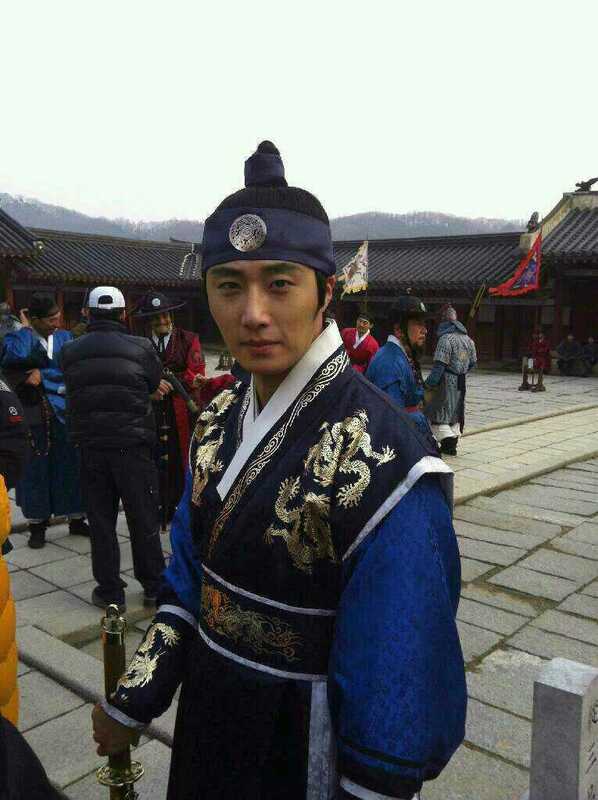 On the other hand, the TV series The Moon that Embraces the Sun only remains two episodes that yet to be broadcast, but because of MBC union strike, the scheduled broadcast on March 7 and March 8 couldn't be aired, the special episodes which feature highlights of The Moon that Embraces the Sun were aired instead.